The Santa Fe River traverses several counties in the Natural North Florida region. It begins upstream of the town of Worthington Springs in southern Union County, and eventually flows into the mighty Suwannee River at Three Rivers Estates. The river flows downstream to O’Leno State Park in Columbia County where it drops into the Karst limestone and runs underground for a half mile to River Rise. 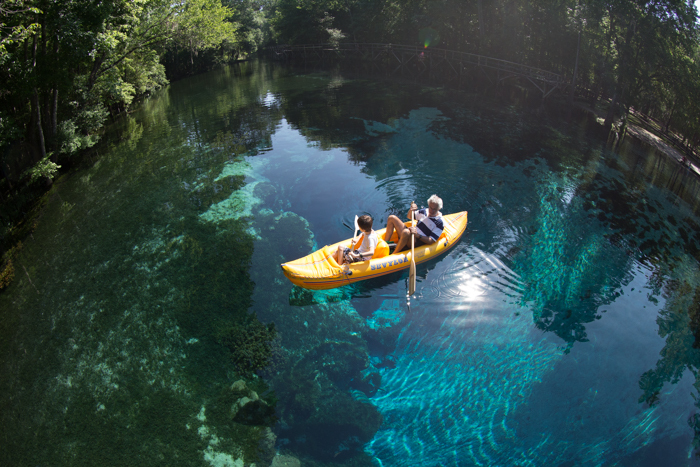 From there, it offers excellent paddling, tubing or boating through north Florida wilderness. And, along the way, you’ll have a chance to experience dozens of minor freshwater springs as well as four of our largest and most popular ones–Poe, Gilchrist Blue, Rum Island and Ginnie. 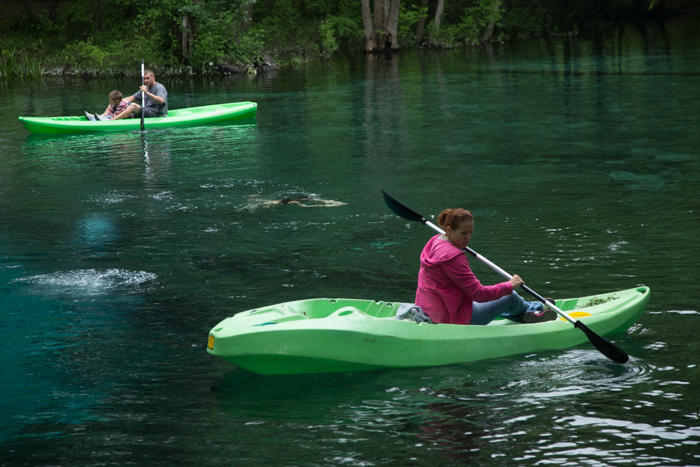 Ginnie Springs is a privately-owned park on the Santa Fe River in Gilchrist County. It’s just a short trip from the town of High Springs, in Alachua County and Interstate 75. 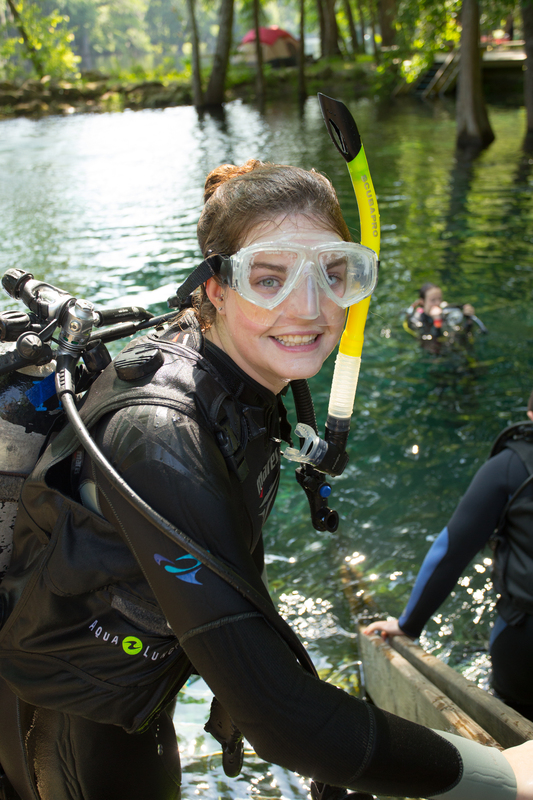 Not only does Ginnie Springs offer camping (for tents and RV’s) and swimming, but its many spring vents are popular with SCUBA divers. 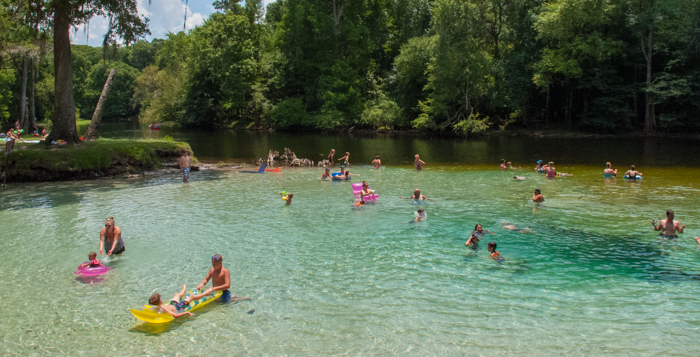 Ginnie Springs Park’s long Santa Fe River shoreline makes it the perfect spot for folks of all ages to float down the river. No tube or float? You can rent one at the park! 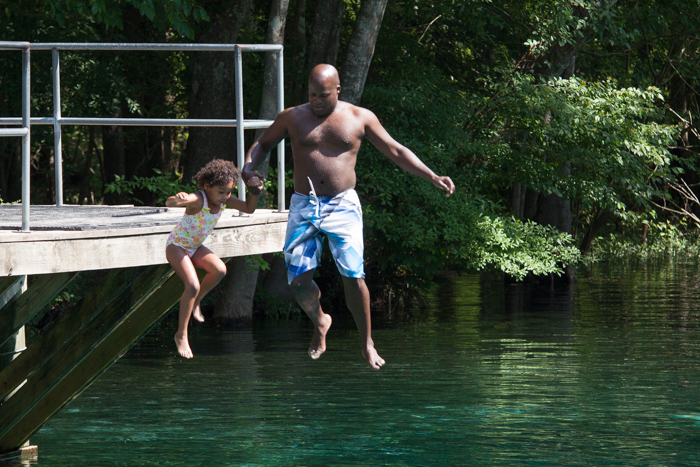 It seems that many of our Natural North Florida member counties have a spring named “blue spring”, but the one on the Santa Fe River in Gilchrist County is probably our largest. Blue Springs Park is another private park, offering swimming, tubing, boating as well as camping. It’s clean clear water and beach is a big attraction for families with children. There’s a modest admission fee, and you can also rent kayaks and canoes there from Anderson’s Outdoor Adventures. 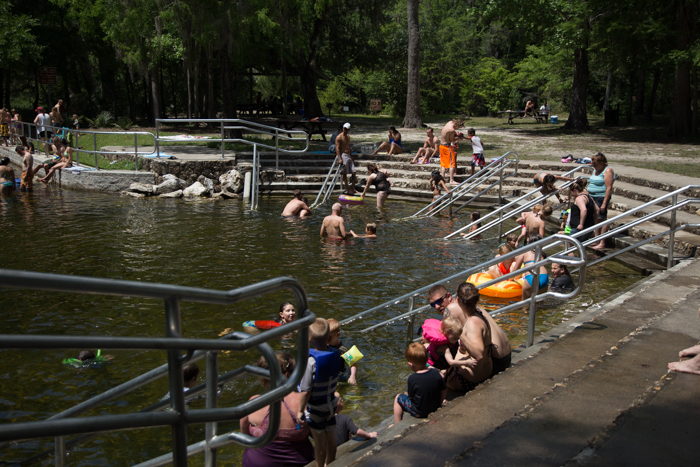 Poe Springs, in Alachua County, is just upstream from Blue and Ginnie springs, and is in a county park. 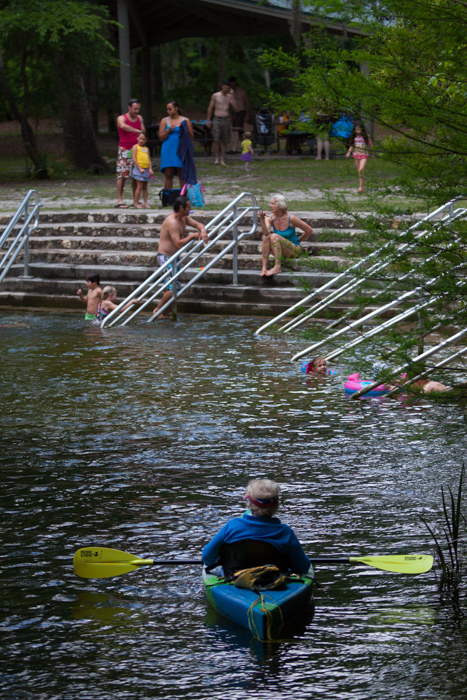 There is no admission charge, making this a family friendly “swimming hole” with easy access to the main Santa Fe River for canoeists and kayakers. Poe, Blue and Ginnie springs are all located just west of the town of High Springs on County Road 340 and are all an easy drive from Gainesville, Lake City and I-75. A favorite of Columbia County residents as well as folks visiting Lake City, is Rum Island Park and spring. It’s located in the southern end of the county, just off CR138. There are limited facilities there, but kayaks and canoes can be rented from Rum138 Outfitters, just up the road.